Holy cannoli, Thanksgiving is only two weeks away. To us, the holiday brings to mind copious amounts of food, but also memories of going home to our folks and sleeping in our childhood bedrooms, which now feel all-too-small. Thanksgiving, eating, growing up, moving on. This is going somewhere, we promise. As much as we love growing up in The A.V. Club household, we’ve also outgrown our snug digital confines. So on Wednesday, November 15, The A.V. Club and Onion Inc. will be spinning off the section into a stand-alone site, exploring the intersection of food, drinks, and pop culture. We’re calling it The Takeout. 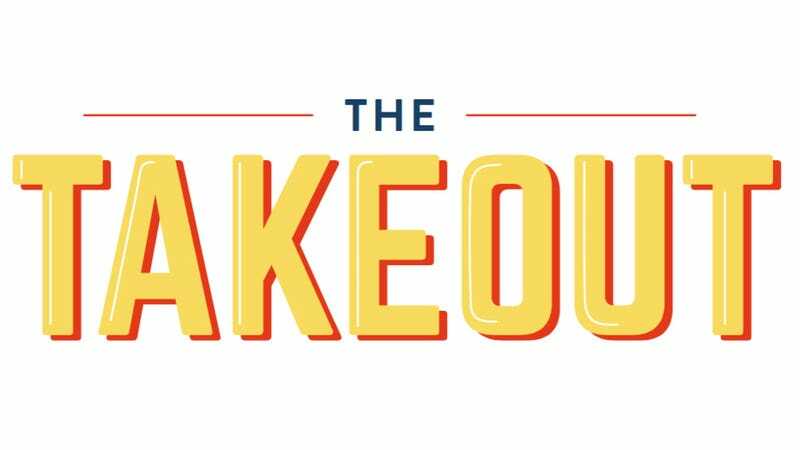 The Takeout will lovingly celebrate food high and low, be it a cup of masala chai or a grungy cream cheese-slathered hot dog from Seattle. We’ll continue diving into food culture’s fascinating backstory, explore food from a scientific angle (like all the unexpected ways food can kill you), and guide you through the type of recipes we dig—saltine pie crusts, Alabama white barbecue sauce, apple cider doughnuts. We’ll be doing more reviews of supermarket foods, have a dedicated beer columnist, a larger editorial staff, a revamped website—essentially, we’ll be moving to a more spacious home. We’d love it if you would stop by the housewarming next week. Launch of The Takeout is supported by Google Chromebook.